Bred to work with people all day, the Australian Shepherd is energetic, enthusiastic and a versatile celebrity in dog sports. 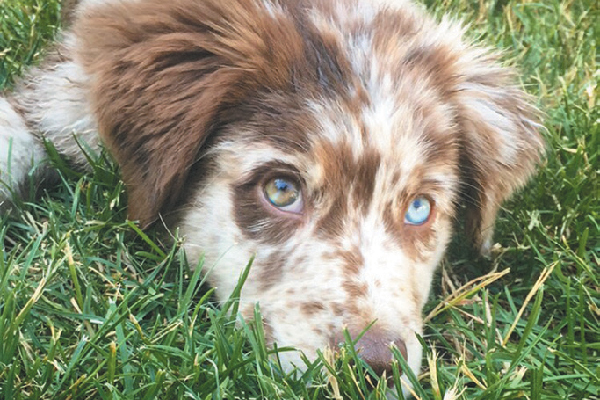 Whether he’s herding, performing in obedience, agility, rally and flyball, or simply watching out for his family, the Aussie is a can-do breed. He’s strong enough to move stubborn livestock and yet friendly enough for therapy visits. There is little he can’t do (except perhaps sit still for hours on end!). Did you know that Australian Shepherds aren’t from Australia? Photography Teresa Blosio @ilovelucyaussie. Misleading name notwithstanding, Australian Shepherd were developed in the south central United States for herding livestock. The Australian name may have originated with a reference to the dogs coming in with Australian sheep. Forefathers of today’s Aussie worked with shepherds to group the flocks, thereby minimizing their exposure to predators. 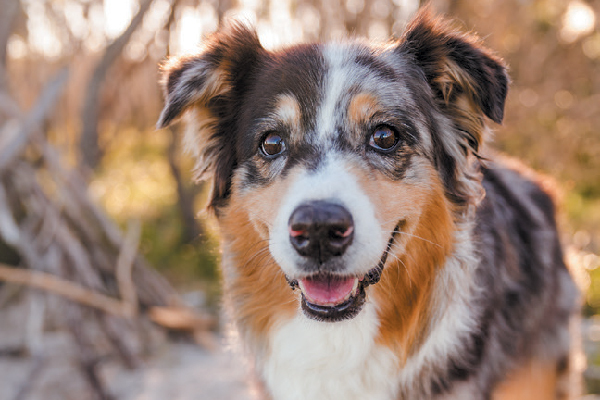 While some herding breeds have an intense approach to working livestock, fixing their charges with a hard eye, the Australian Shepherd was developed to work effectively with a more casual style and less intense eye. Although excellent herders, Aussies were also developed for all-around farm work. The Aussie protected his family and offered companionship to his rancher all day. 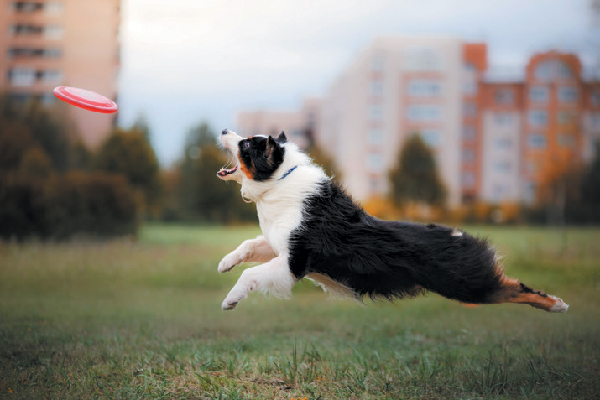 Australian Shepherds are very active dogs. Photography ©Anna-av | Getty Images. Aussies won’t whine about overscheduled days. The athletic Australian Shepherd can finish an agility class, take a long walk and easily revive after a short nap for more interaction. After all, he was developed to stay beside hard-working ranchers. Cushy days aren’t in this breed’s history. 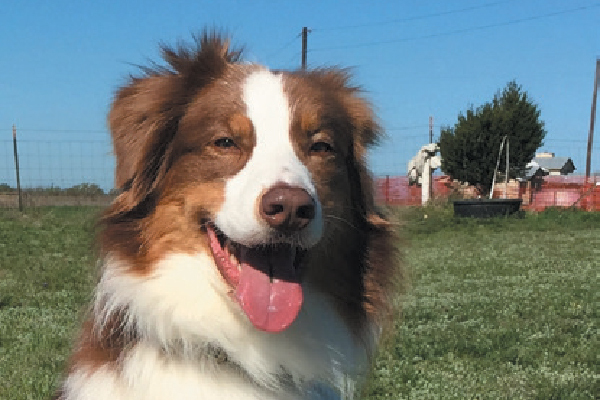 Decidedly biddable and easily trained, the Aussie is a rock star in the agility and flyball world, but he’ll also stand out in obedience (exercise him well before long Down-Stays!). He is a sensible, not too barky watchdog; he’ll alert his family to newcomers, but he’s not typically overly reactive with strangers. Aussies are good family dogs. Photography ©Charlotte Reeves Photography. Aussies are devoted to the family’s children. Tolerant and patient, the Australian Shepherd isn’t generally excessively sensitive to a child’s accidental roughness. Extremely affectionate with family, Aussies typically don’t value their privacy (or yours). Prepare to have your personal space invaded! The Australian Shepherd needs extensive mental stimulation as well as physical exercise. He’s a bright, attentive breed, ever eager to work for humans. Because he’s such an adaptable and approachable breed, he makes a nice choice for a therapy dog, provided he’s well-exercised, of course. Although an Australian Shepherd can live in an apartment with an active family, in general Aussies would choose open space for romps. They’d likely choose livestock in the yard to herd as well, but other pets may suffice. Aussies have been wowing audiences long before most dog sports became popular. A rancher named Jay Sisler entertained rodeo audiences in the 1950s and 60s with his Australian Shepherds’ wonderful tricks. Jay’s Aussies stood on their heads, jumped rope, balanced on bars and played leapfrog, all to the great delight of rodeo onlookers. His famous Aussies also appeared in Disney productions such as Stub: Best Cowdog in the West. Australian Shepherds can live 13 to 14 years. Photography courtesy Lynn M. Hayner. Weight: 45 to 65 pounds. Males are generally heavier. Coat Color: Blue merle, black, red merle or red, all with or without white markings and/or tan (copper) points. Coat: The medium-length, weather- resistant coat is straight to somewhat wavy. Shedding: YES! Even more so in spring. Grooming: Regular brushing keeps the double coat in mint condition. Eye Color: Brown, blue, amber or any variation or combination. Some Aussies have blue eyes as an extension of the merle patterning. Best For: Best suited to sporty families with time for lots of dog activities and outings, as Aussies are a highly active breed. Nicknames: Ghost Eye Dog, California Shepherd, Spanish Shepherd, Pastor Dog, Bob-Tail, New Mexican Shepherd. Breed Motto: Work hard, play harder. Originally an attorney, Lynn Hayner writes about dogs and law, in no particular order! Lynn lives in Waco, Texas, with her family, a rescued cat and her new German Shepherd Dog, Anja. The post All About the Australian Shepherd appeared first on Dogster.